Where Are The 1960s WBRU Staff Members Now? In July 2018 I solicited updates to this page from those whose email still worked. I have marked entries accordingly and removed non-working emails. If YOU are listed here, please send me an update! If you are NOT listed here ... please send me what you would like listed! Use the "contact Fred" link at the bottom of this page to send an update. "Last Updated" means text and email updated; "Validated" means owner has reviewed but not updated, but email is valid. Thank you. Here's an update on some of the students who staffed WBRU AM and FM in the 1960s. No personal information is published without the consent of the named individual, although information readily available via the Internet or elsewhere may be published or referenced. To contribute or update YOUR information, send a paragraph or two to Fred using the contact information at the bottom of the page (or ask that something be changed or deleted). Please send a recent photo, if you can, too. (If you send a family photo, we'll excerpt you here and add a link to the full photo.) The date after an entry is the original date of posting or date of last update. You may also visit Reminiscences by us old folk! 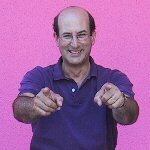 Stu Aaronson Stu died on February 22, 2016 in Providence. 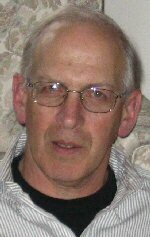 Read Stu's obituary. His 2004 update is below. Although a member of the class of 66, I graduated with the class of 67 and spent three years doing grad work and teaching at American University in Washington DC where Pete Bedard and I were often found with Les Blatt. Returned to Providence and worked for WHIM AM/FM, then WHIM/WHJY, from 1970 to July 1979 doing all sorts of things, mostly sales. In 1978 I married and have one daughter, Rachel, who has just graduated from George Washington University and actually has a job with "Reading is Fundamental" in Washington. The marriage dissolved in 2001. I am Vice President of Sanford White Co. Inc., a manufacturer of jewelry, high-end advertising specialties, and giftware. We are located in beautiful Central Falls, RI. I also operate a small advertising agency with Town Wine & Spirits, one of the largest wine and single malt retailers in the Northeast, as my prime client. In my spare time I am the National President of the North American Federation of Temple Brotherhoods, Reform Judaism's national men's organization and serve on the Executive Committee of Reform Judaism and on its Commission on Interreligious Affairs. I am still very interested in WBRU and often buy time on the station for Town Wine. 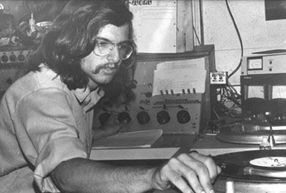 Richard Barna After starting WBRU down its long path as a rock station (as Program Director), I graduated in 1970 and moved to Boston as a disk jockey and what passed as Program Director of WBCN FM -- Boston's first "Progressive" rock station. The success of 'BCN was pretty exciting, so the "Concert Network" (CN) sent me to Hartford to be Program Director of sister station WHCN. In collaboration with HCN's News Director (and later founder of Lotus Software) Mitch Kapor, I started Progressive Radio Network with studios in the basement of my house. BRU's Paul Payton was an important contributing producer for many years, and the Network grew to 400+ stations for our produced news and comedy programs until I sold it 10 years later. This should come as a shock to Ralph Begleiter who was News Director when I was PD at WBRU and probably always thought I was conspiring to eliminate all news programming. 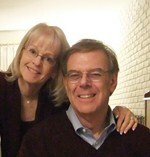 After enjoying a bit more education at Harvard Business School, I now live in the New York suburbs with my wife Eileen. We run several non-radio businesses involved in international manufacturing, electronics and real estate. Mostly we pretend we are somewhat retired and travel a lot -- skiing and sailing. My son was a DJ at his college station at the University of Michigan and made me proud to realize that love of radio is somewhat inherited! My daughter just graduated from a certain college in Cambridge Massachusetts and wisely avoided getting involved with their radio station. Peter Bedard Pete died on December 10, 2004 in Providence. 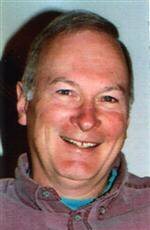 Peter C. Bedard ’67, of Providence; Dec. 10, after a short illness. He was a founding partner of the former Chaffee-Bedard advertising and public relations firm in Providence. He was previously vice president and group manager at Creamer Dickson Basford/New England. He was an accredited member of the Public Relations Society of America, past president of its Southeastern New England chapter, chairman of its Northeast District, and a member of its Counselors Academy. He won several awards for public relations, journalism, and copywriting. Early in his career he was a U.S. Army journalist in Vietnam, a news editor at ABC Radio News in Washington, D.C., and a public-information officer at the Rhode Island Department of Community Affairs and the Rhode Island Army National Guard. 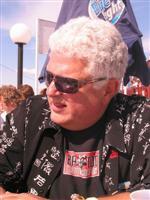 He had also been a radio sports broadcaster in Rhode Island. He was a member of the First Baptist Church in America and a former board member at the Slater Mill Historic Site in Pawtucket, R.I. He coached Little League in Providence for many years. An avid bridge player, he followed all New England professional sports teams. He is survived by his wife, Lynda; his parents, Camille and Juanita; two sons; and two brothers. Ralph Begleiter Graduating from WBRU, WICE-AM and WJAR-AM-TV and summers at ABC Radio News in NY, I went to Columbia's graduate school in journalism right after Brown. From NY, moved to DC in 1972, working as a writer for (then Washington Post owned) WTOP-TV (today WUSA-TV), working with Warner Wolf, Gordon Peterson, Max Robinson and JC Heyward. From 1973-1981, I worked as editor, then reporter, for WTOP-AM, Washington's all-news station. In 1981, the siren song of Ted Turner's "Chicken Noodle News" brought me to CNN, where I covered international affairs for 18 years, including most of the major events of the end of the Cold War and in the Middle East. Since joining CNN, I've traveled to 100 countries including Antarctica, on all 7 continents. I retired from CNN in 1999, to teach journalism and political science at the University of Delaware. As Distinguished Journalist in Residence, I created and ran two major speaker series and became founding director of the Center for Political Communication. I retired completely in 2017. I can be reached at rjbegleiter@aol.com, and on Facebook. My son, Joel, is still a talent agent in Hollywood (wow with CAA). Like me, he also sang a cappella at Brown (Brown Derbies), and even won a national award a long time ago. Joel and his wife, actress Liz Loza, have our two wonderful grandkids. Some of you will remember Barbara, whom I dated while at Brown; we married in 1972 and we remain among the longest-lasting happy couples in broadcast journalism. I was active with Brown for many years, serving on the BAM editorial board, several committees and later a 5-year stint as a Brown alumni trustee. I continue interviewing Brown applicants every year, usually disappointed when they never get admitted. In case I haven't bored you completely yet, you can read my full professional bio. Updated July 2018. After spending over 30 years in the radio trenches (including WKBW-Buffalo, KLIF-Dallas, WHB-Kansas City, WTAE-Pittsburgh and CFNY-Toronto), I finally moved full time into voice over work in 2001. Although I have done a ton of commercials that have run in the U.S. and Canada as well narrated the Discovery Channel documentary "James-Brother of Jesus", I have concentrated on voice work for TV Networks here in Canada, where I have done promos and imaging for YTV (Youth Television), TSN (The Sports Network), CBC, and currently The Global Television Network, which is akin to being the voice over talent for ABC or CBS. As I move into the next phase of my career, I find myself in front of the camera and back on stage (I acted in a lot of community and semi-pro theatre in the 70s and 80s). While I have done nothing "major" I have done some interesting projects [link no longer valid] and on camera commercials. Semi-interesting sidelight: For 12 years I was known as "Dr. Trance", a DJ who played a very melodic form of techno music known as trance to young adults who would dance the night away in warehouses and clubs. I was hired to bridge the generation gap from one end of Canada to the other, as well as in parts of the U.S., where I retain my citizenship, just so I can pay taxes in two countries! Les Blatt After graduation in 1965, I went into the Army, doing Armed Forces Radio. While still in the Army, I started working for ABC News in Washington, and I continued with them after getting out in 1968. I spent 31 years at ABC. In Washington, I worked for radio, moved into television with what was then AM America, later becoming Good Morning America. I did a stint at what was then the Evening News, then returned to radio. In 1983, when Frank Reynolds died and Peter Jennings took over the show, he brought me up to New York, and I spent the next 12 years as an editorial producer on World News Tonight. In 1995, I left the show and became a senior producer at ABC News Online, and helped set up ABCNEWS.com. I left ABC in 1999 and crossed the line into public relations. 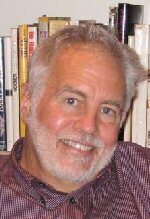 I was managing editor of Newstream, an online distributor of PR material, owned jointly by Business Wire and Medialink. Last year, I left Newstream and moved to Business Wire as Multimedia Manager, the position I still hold. In other words, I've now spent nearly forty years having a good time and getting paid for it, which isn't a bad way to spend the time. I met my wife Leslie in 1973. We got engaged after two days and married in four months. So far, it has lasted 31 years, which may be a good sign. Leslie is the Library Media Specialist at Orange High School, in Orange, New Jersey. She's extremely active in both the county and state library media associations. Our older daughter, Cheryl, was born in 1978. She's a Boston University graduate. She lives in San Jose, California, where she is teaching special ed and autistic kids. She's in a program at San Jose State to become certified in teaching severely autistic children. Our younger daughter, Elana, was born in 1980. She got her bachelor's and master's degrees in engineering from Cornell. Then she decided she wasn't cut out for a desk job and joined the army as a military counterintelligence agent. She also got married; her husband, Ivan Duffy, is also in the army (they knew each other for three years before joining up!) - he's a paratrooper with the 82nd Airborne. That's right, folks, he jumps out of planes. No, I don't know what's wrong with him. Anyway, she is now in Iraq, and he is leaving at the end of February for Afghanistan. They see each other occasionally, but the army makes sure it doesn't happen too often. That's the short version. Details, as they say, on demand. 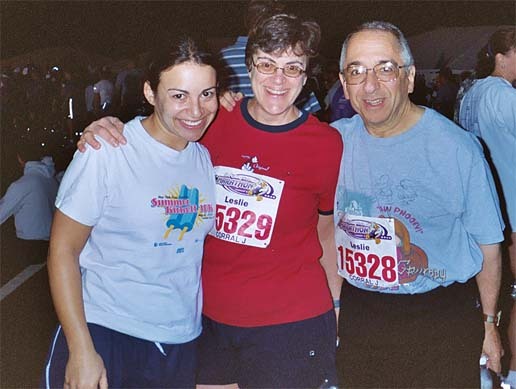 (The 2005 family photo was taken at 4am before running the half marathon at Walt Disney World.) Photo of Les and Family LesBlatt@aol.com - Updated July 2018. Adam Blistein In June 2016 I retired after 35 years of administering nonprofit organizations, the last 17 of them as Executive Director of the Society for Classical Studies, which was named the American Philological Association when it hired me in 1999 and when I joined it while in graduate school in the late '70s in a failed attempt to get a college teaching job. I retired as soon as I could, i.e., the month after my youngest graduated from Brown (where she was, among other things, 'BRU Sports Director for a while). My plan for retirement was to (a) read what I wanted, (b) look at whatever screens I wanted to, (c) learn how to make beer, and (d) relearn how to play the piano. I have been doing plenty of (a) and (b), (c) awaits the convenience of the busy patent lawyer in my neighborhood who used to make beer and wants to get back into it, and (d) has turned into an unexpected but very welcome return to the radio. I am now the fill-in guy on WRDV-FM, based in scenic Hatboro, PA. Hatboro is unfortunately a 45-minute drive from my house, but it's worth the schlep. When I'm on daytimes, I get to play pre-bop jazz and great American songbook, and when I'm on at nights, I get to play what I used to play at 'BRU. The station has a very large collection of CDs for the daytime shifts that includes both Si Zentner's "Up a Lazy River", and "The Big Blowout" from Mancini's Breakfast at Tiffany's soundtrack. I have played both of them more than once, and I even snuck Horace Silver's "Sister Sadie" into one of the daytime shows. There's no predicting when I'll be on, but if you want to listen, which you can do at wrdv.org, let me know, and I'll put you on my e-mail blast list. My kids are thriving in Brooklyn and San Francisco, respectively (two interesting places to visit), and I haven't yet driven Maralin, my wife of 33 years, crazy by being at home too much. During my working life I made a decent living and didn't embarrass myself too often, and now I'm enjoying a retirement in which every day is Saturday, unless, of course, it's Sunday. Email: blistein@comcast.net. - Updated July 2018. 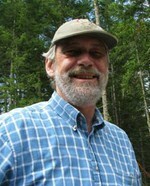 Fred Brack I joined IBM straight out of college, worked for 31 years in software and human resources, retiring in 1999. Since 1981, I have lived in Raleigh, NC, with no plans to leave. From 2003-2014, I operated my own Internet-based wine racks and accessories business, which I called Bracksco Wine Nook. I am also the webmaster for a number of websites. I post information about website development on my homepage. I have two grown children, three grandchildren, and am happily married to the same person (Kathy) I wed in 1974 (with 'BRU folks Mark Jordan and Bob Mulholland as ushers). As my wife is blind, I have interests related to this disability. I have been a board member, past president, and audio describer for Arts Access, an organization dedicated to "making the arts accessible to people with disabilities" in NC; I am the webmaster for the Audio Description Project (a big job!) since 2003; and I was also on the board and still record a weekly show for the Triangle Radio Reading Service, which serves people with visual disabilities. This is a pleasant tie to my former "radio" days! In mid-2014, I decided to utilize my experience with WBRU, Arts Access, and the Triangle Radio Reading Service and enter the field of voice-overs. I trained with a voice-over coach, invested in some equipment, and began the arduous process (lots of competition!) of seeking jobs (commercials, promos, corporate narration, etc.) part time, while phasing out of my wine accessories business. Not very successful, but fun! My wife and I take a "big trip" once each year, generally to Europe, though we have visited South Africa, Australia, Scandanavia, Turkey, and Russia, too, and are headed to South America in 2019. You can reach me using the link at the bottom of this page, or visit my home page, where I have travelogues and technical stuff. - Updated July 2018. Jim Brennan Still a commercial photographer, mostly digital. Still married to Noel ('70). Still have daughter, Anne (Lawrence U. '91, B.A. ; URI '04) M.A. [English]; presently working as paralegal in Prov. Residing in 175 (+/-) year old farm house on nearly 2 acres about 2 miles S. of Kingston (home of URI); have been since 7/78. 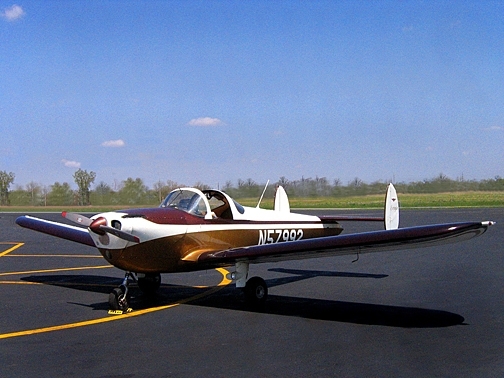 Avocation: Aviation - bought 1946 Ercoupe 415-C to fly as Sport Pilot (earned Private Certificate 2/95) and flew it from Wis. to RI 5/05 (see photo); founded Quonset Aero Club '93 and have been president since then; formerly member of Board of Directors, Quonset Air Museum; recently elected to Board of Directors, Antonov Foundation (which was formed to restore and fly an Antonov An-2 [worth a Google]) - summer of '05 will be characterized by ironing out errors and omissions by mechanic in Wisconsin (an Ill. resident, so that explains it - you may recall that I hale from Wis.) who turned Ercoupe project into an airplane 6/04-12/04. See www.jbrennan.com. jim@jbrennan.com 7/05 - Validated July 2018. Richard Brodsky Since I left Brown I have had nothing to do with broadcasting other than being addicted to listening to the radio – although my first job after law school was to clerk for FCC Commissioner Nicholas Johnson, one of the fathers of modern telecommunications policy. (I recently discovered XM Satellite Radio. No commercials; a hundred formats. My apologies to my friend, George Hyde.) Then a stint as a field organizer for McGovern for President (Bill Clinton was the other famous field organizer – he was a legend even then! ), then I worked for a Congressman who, in between reading the Washington Post, would send me notes addressed “Ritch” – and he was voted one of the top 10% of all Members of Congress that year! – and then eight exciting years chasing corporate crooks with the Division of Enforcement of the Securities and Exchange Commission in D.C. In between, I married Peggy Stone of New York, who graduated from another law school the same year I did. As I write this (5/14/05), we were married 33 years ago today. Our first child, Jane, was born in D.C. She is a lawyer in Washington and works for a Congresswoman as a Legislative Counsel and is getting married in November 2005 to a classmate from law school. Jane followed her father's footsteps by working her brains out as a member of the Kerry for President staff. (Losing political campaigns is a family hallmark.) Our son, Ben, has just finished his second year at NYU Law School. Both kids went to the University of Michigan. Jane turned Brown down to go there, causing my father (Brown ’35) to be wondrous about why anyone would do such a thing. What can I say? Jane loved Michigan and wanted the Rah! Rah! Big Time College Football Experience. Ben followed her to Michigan. Go Blue! Peggy, Jane and I moved to Miami in January 1981. We raised our kids here and love Miami-Dade County. It’s a small town with a big town flavor. A few years ago we bought a log house deep in the woods in far Western Orange County, NY (10 miles from where NY, NJ and PA meet on the Delaware River). We go there 6-8 times a year and take day hikes among the many trails in the area. One of the criteria was a lack of Starbucks nearby… not that we have anything against Starbucks, but we wanted to be away from it all when we are there. We are. Anyone is welcome to visit unless they’ll be bored being 50 miles from a Starbucks. After ten years of practicing law by myself, I recently joined a large well-established law firm, Steel Hector & Davis LLP. I specialize in securities and other kinds of finance-related litigation, and for many years represented big CPA firms in things like S&L fiasco cases. I do not want to retire, at least until I can’t remember anything. I can report, however, that at the rate I'm going that may be earlier than anticipated. What was I saying? My main exercise is jumping to conclusions, but I’ve managed to keep my weight down. I read biography and history, but mostly box scores. Peggy and I do crossword puzzles while we watch the Florida Marlins and the Miami Heat, depending on what season it is. Years ago I helped lead a community group that helped bring the Marlins to Miami. Guess what? We’ve won two World Series since 1993, and the Red Sox (my former love) have won two since 1916. My thoughts about WBRU have undergone a complete 180 degree turn since Back in the Day. Those of you who had to suffer through my being the GM of the station in 1966 and 1967 may remember the constant drumbeat of “We have to run this place like a business.” I felt fully committed to the concept of making WBRU(FM) a commercial success. I remember thinking that with FM starting to grow, we would have “gold turntables” in 20 years, as if that were something to look forward to. Now I look at WBRU(FM) and think that the best thing for Brown University would be to sell the station and put the money to work on scholarships for needy students. As best I can see, there is absolutely no “Brown University” in WBRU(FM), to which I say, “Who needs it?” If all WBRU(FM) does is make money, and does nothing to bring Brown to the SE New England community, it serves no useful purpose. It certainly is not enough to say that it provides a training ground for future broadcasters. For that, there is WBSR and the Connecticut School of Broadcasting. rbrodsky@thebrodskylawfirm.com - Updated 5/05 - Validated July 2018. 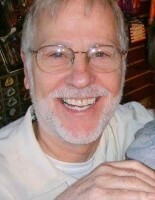 Bob Cope I have been living in Orlando Florida since getting out of the Air Force in 1970. I worked for Hartford Insurance for 33 years first as an underwriter in various jobs then handling the local computers after desktop computers became common. I retired from the Hartford in 2003 and went to work for a software company (ADC Legal Services) which makes computer programs used by lawyers to run their offices under the product name “Perfect Practice”. bobcope@bellsouth.net - 6/05 - Validated July 2018. Tom Corddry I’m living in Seattle with wife Suzanne Jobin and daughter (15) Claire. Older son Matt (28) is also in Seattle, as is his mother, Ruth nee Malewitz now McBride, ’70. After Brown, I moved to Seattle to attend graduate school at the University of Washington, in communications, and made one documentary film before slipping back into progressive radio, as Program Director of local station KOL-FM. Staff there included BRUnonians Vito Perillo, Jon Kertzer, Moe Shore, and Paul Gregutt. I also was part of a team that launched KZOK in Seattle, and then KZAM. BRUin Dave Corry was part of KZAM, as were Kertzer and Gregutt. My radio career ended in 1979. I spent a few years doing freelance creative work (writing, design, etc) in several media. By the mid-80s I was doing a lot of work for Microsoft, and was sucked in as an employee in 1989. I led the group that developed Encarta and quite a few other multimedia titles, and then retired in 96. I went back to work in 1998 consulting, and ended up today as the CEO and major investor in a small software company called SmartChannels [sorry, link no longer works]. My interests other than work and family include fine art photography and voicing unsolicited opinions. tom@corddry.com - 2/05 - Validated July 2018. Jon Cowan After spending five years at Brown getting a B.A. and B.S. degree, I indulged my appetite for interdisciplinary learning while earning a Ph.D. at the University of California, San Francisco in the neuro and social sciences, and living in the Haight-Ashbury. After a post-doc at Berkeley, I became part of the staff at the National Institute on Drug Abuse Addiction Research Center (NIDA). This brought me to Kentucky, where I have lived since then, eventually moving to Derby City. Louisville spreads its Spring Weekend over three weeks in April and early May with our Derby Festival, so life at Brown was indeed good training for a grander future! After spending about ten years as a forensic expert, primarily on alcohol and drugs, I gradually transitioned to working on developing new methods for brainwave biofeedback, an interest that I first developed at Brown. As an independent scientist, I discovered three new methods for more accurately measuring brainwaves which clearly reflect single-pointed Focus, Alertness (or arousal) and Neureka!, and are used to train them. Biofeedback of the Neureka! measurement trains the brain's response to new learning, which includes improved attention and memory, and enhanced happiness. So, many years after beginning my research on positive feelings at NIDA, I developed a convenient brain-based method for measuring the euphoria that drug abusers seek. This enhancement of dopamine function overlaps nicely with NIDA's well-researched position that dopamine deficiencies lead to many types of addiction. I integrated these measures into a product, the Peak BrainHappiness Trainer, that my company sells worldwide for performance enhancement and improved mood, which also leads to better health in the future. My collaborators have done studies that demonstrate major benefit to autism, ADHD, and long-term happiness. I am still happily working to bring these discoveries to larger audiences. The main remnants of my experience at WBRU are the 14 speaker home theater system and some audiovideo production for my products. I'm very glad I lost my New York accent in a week at 'BRU. The selfie reflects my interest in collecting art glass. Am I still a flamer? Email: jon@peakachievement.com - Updated July 2018. Ronnie Dane After college, I lived in Amsterdam for a couple of years as a computer programmer (that was only about 20 computer generations ago!). After a couple of years in Chicago, I became a high school social studies teacher in New Rochelle, NY, commuting out from NYC. There I was active in the school employees' union. After 6 years, I went to law school to become a union-side labor attorney. I am still a lawyer, but I wound up representing children, mostly kids in foster care and children involved in custody and visitation disputes, in NYC. 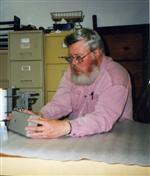 My domestic partner, Al Rabinowitz, is retired from the union field services. He has two daughters and we now have 4 young grandchildren, two on the west coast, two about to relocate near Providence! H. Peter Dursin I graduated from Brown in June, 1967 with a degree in Geology but a job as an engineering assistant at Western Electric, thanks mostly to my radio engineering work at BRU. I spent the next 8 years in Winston-Salem, North Carolina working on communications systems for the U.S. Navy. I met and married Linda Moyer there in 1970. The defense business and the economy started to wind down in 1974. I was able to transfer from Western Electric to the Chesapeake and Potomac Telephone Company headquarters in Washington, D.C. in late 1975. Our son, Christopher, was born in North Carolina in early 1976 just before we moved from Winston-Salem to Bowie, Maryland. I spent the rest of my career in the D.C. area with C&P, which became part of Bell Atlantic and ultimately Verizon Communications. I retired from Verizon in December, 2002. I still live in Bowie. Linda died in 1995 after a long illness. Christopher turned a history degree into a job as a budget analyst with the federal government in Washington. I went back to doing technical live theater (I was with Sock & Buskin at Brown as well as with BRU) in 1995 and have been on the staff of the Bowie Playhouse since early 1996. I work with both of the theatrical groups that use our space, which is how my picture got onto the Bowie Community Theater website. I also still have boats and have other hobbies that keep me as busy as I want to be. [Jully 2018 Update] I'm still alive, still in Bowie, MD, and still working part time as the stage master electrician and automatic equipment programmer at the Bowie Playhouse. Besides the theater, I still have sail and power boats that I use on the Chesapeake bay. I've been in the same house since 1976 so the contact address is also still good. My health is good, so I'll probably keep doing what I'm doing for awhile yet. henry.p.dursin@verizon.net - 2/05 - Updated July 2018. Jack Edmonston After graduating from Brown, I went to John Hancock Life Insurance as a programmer. I spent one summer after graduation doing DJ work at WHIM part-time (1110 AM) but lost that work when they switched to elevator music. Thus ended a very short, second-rate career in radio. I spent several years at an ad agency in Boston and wrote many commercials, but then switched to print, getting a job at International Data Group, publishers of more than 100 computer magazines (like PC World) and inventor of the "For Dummies" series of books. While there I wrote and published "How to Create More Effective High Tech Advertising." After a long career at this partially employee owned company, I left to do free-lance work for various clients until I collected on my IDG ESOP stock and retired to Cape Cod, where I live and breathe to this day, doing volunteer work and writing a column for the local paper. Email is jackedmonston@gmail.com - Updated July 2018. Bill Fishman I joined WBRU in 1958, became News Director in 1959, and Station Manager in 1960 or '61 (don't remember which). I also served as Chief Executive Officer of the Ivy Network Corporation. I think I spent 2-3 hours everyday at BRU in those years, and like Peter Tannenwald I made a subsequent legal career specializing in telecommunications law, practicing that specialty at the FCC, Arent Fox (with Peter) the office of Telecommunications Policy in the Ford Administration, and then at the Boston law firm of Sullivan and Worcester. In those years I did a lot of interesting things, including international negotiations on satellite systems and privacy. I represented a number of foreign telecom entities and a number of major US companies. I am now retired and am sad to know that WBRU is no longer broadcasting over the air. Would enjoy hearing from any former BRU people with whom I worked at the station and look forward to your continuous updating of the webpage. zaidefish@gmail.com - New Entry July 2018! Paul Gregutt I was the WBRU-FM Music Director 1969-71 (right after Paul Payton). I moved to Seattle in 1972. Worked with Tom Corddry, Moe Shore, Jon Kertzer, Davidson Corry etc. at KOL-FM. Most of us moved on to KZOK, then to KZAM. I began working in triple media: radio on the weekends, newspaper during the week, and some freelance TV work in the early days of ENG, which got me into public television (KCTS) and ABC-affiliate (KOMO) as a producer/on-air talent. 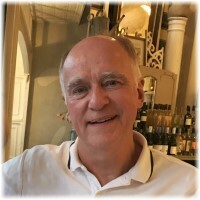 I began writing a wine column in 1984 while working for a company specializing in corporate communications; that turned into steady freelance from 1985 on with articles published in the Wine Spectator, Decanter, Sunset and many other fine wine publications. I co-founded a digital entertainment company in 1995, just ahead of the dot-com boom, and managed to retire penniless and semi-destitute in 1999, when my second marriage went down the tubes. Three times is the charm, and since 2002 I have been mappily harried to a wonderful woman, whose career in film making (30 years at the head of Kaye-Smith Studios in Seattle) has now morphed into a wonderful career as a painter (www.ksgregutt.com). 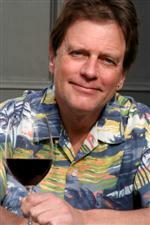 I continue to write about wine full time, principally covering Oregon for Wine Enthusiast magazine (www.winemag.com). In 2007 and 2010, two editions of what remain the definitive books on Washington wines and wineries were published by UC California Press (find them on Amazon). Karen and I moved to Waitsburg, in the southeast corner of Washington, in 2011. It's a lovely farm town, population 1200, set in the Palouse wheat country just a few miles north of Walla Walla. We own and operate several rental cottages (www.waitsburgcottages.com) and apart from my writing, I spend most of my free time and all of my money on guitars, gear, recording and performing with my band, the DavePaul5. We are the happy owners of Cookie, an 8 year old terrier/chihuahua/poodle rescue beast. I am easily reached on Facebook or by email: paulgwine@me.com. Also in Waitsburg is my college pal Richard Hinds, and we often get together with our mutual friends (and fellow Brown grads) Henry Stoll and Ed Amyot. - Updated July 2018. John Hall I joined WBRU at the end of my freshman year. What happened was, as a math major interested in rock music, I had always followed the top 40 charts closely. I forget the details, but I came up to the WBRU studios on the top (third) floor of Faunce with an idea and some notes for a chart-related show, something I fully intended to hand off. I met my wife, Jean, during my last year in graduate school and proposed a week after passing my oral exams. We were married at the end of 1972 and are still going strong. Jean is an advertising writer and producer. I have had fun using my knowledge of songs and recognition of voices to help her with casting and ideas for ads, although she doesn’t need any help and has won an Andy and a Clio for her fine work. We have no kids, so our hobbies keep the child alive in both of us. I collect TV science fiction memorabilia and comic books, which I still read voraciously (a habit I amped up my senior year at Brown and never abandoned). My wife’s hobby is collecting water pistols; we think she has the world’s largest collection – and possibly the world’s only collection. After Brown, I went to U. of Pennsylvania and got my Ph.D. in a variant of mathematics called operations research – basically the mathematics of organizational decision making. A couple years out of grad school, I began working on applications of my skills in the realm of fire safety and the fire service. Last April , I completed 20 years at the National Fire Protection Association, where I’m the head of statistics and related research. I get to use the skills I was trained in and save people’s lives and livelihoods, however indirectly. And my BRU training has held me in good stead. One year, I was sent down to NYC to film Fire Prevention Week interviews and spots on the set of the Today show. I’ve done a large number of radio and on-camera interviews for my work. I’ve also been on television talking about my major hobby – which is collecting memorabilia from TV science fiction shows. And every time I’m in front of a mike, I do better because I had 3 years of BRU training and experience. My peak experience at BRU was being co-anchor for our continuous election night coverage in 1966, the first time we had attempted that since getting the FM station. It was intoxicating. 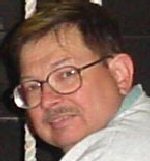 Don Harris Don died on October 19, 2017. Keeping a low profile, I was sometimes known on-air at WBRU AM as Paul Davis or Duke Davis. I have wonderful memories of hosting Eye Opener, Rhythm Section, and best of all the Saturday Night Dance Party. In 1962 it was SNDP that first broadcast Rock and Roll on Brown radio. After getting a masters degree from Rensselaer Polytech, I worked for 35 years in Worldwide Sourcing for Ingersoll-Rand. My wife Bev, a teacher, and I have been married for 41 years. Now retired, we live half the year in Connecticut and half on Nantucket Island, where a 250 year old house keeps us very busy and very happy. Our two sons, both graduates of Boston University, live near us in CT, so we see lots of our four grandchildren. I've done no radio work since Brown, but the love of radio stays in your system. Not too long ago I made a professionally produced voice-over demo tape, but have yet to pursue a second career – retirement is just too much fun. Ginger Heinbockel Ignatoff After graduating (P'68), I moved to New York City, where I've lived ever since. I've worked mostly at non-profits, and currently work with Special Interest Groups (SIGs) at the Association for Computing Machinery. It's interesting stuff, generally. Eventually I met and married an actor (out of Amherst), Elisha Ignatoff, who's since become a stagehand/stage carpenter/props kind of person. He also now does CAD work. 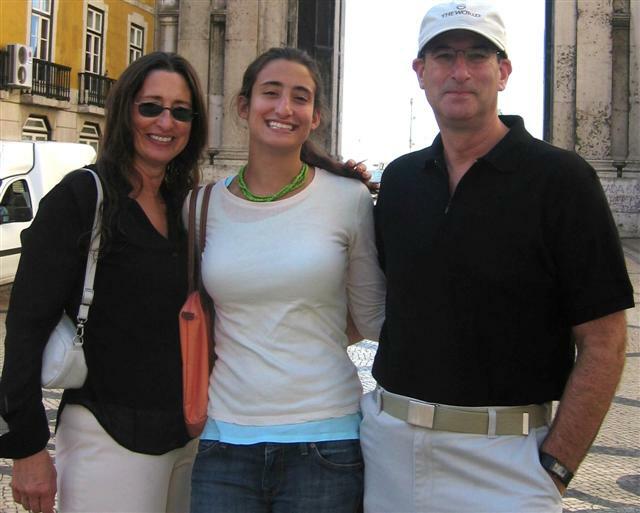 We have two kids, Miriam (Oberlin '04) who is in graduate school in Israel, and Daniel, a sophomore at Brown. Jerry Hubeny When I graduated from Brown, I left radio and broadcasting behind. I got an MBA and began a career in consumer goods marketing (first stop --General Foods). This eventually morphed into a series of largely entrepreneurial activities in industries as diverse as real estate, musical instruments, and food. For the past twenty years, my partner, Bert Davidson, and I have built and managed a food company (Davidson Hubeny Brands) creating and selling cheeses to supermarkets nationally. I hope and trust that, however unknowingly, you have purchased some of our cheeses! We will probably sell the company in the next few years, after which I will no doubt begin on another venture of some sort. I am happily married to a "Wheatie" who is a wonderful second grade teacher in the Boston suburb in which we have lived since the early 80's. We have two grown children and, as yet, no grandchildren. Our son is married, living in Cranston (home of the "big hair"), and finishing his doctorate in Geological Oceanography at URI's GSO. Our daughter lives in Brookline and works as an art buyer for Arnold Worldwide, a Boston advertising agency. jhubeny@mac.com - Updated 2/05 - Validated July 2018. George Hyde George is Executive Vice President in the Radio Advertising Bureau in Florida. 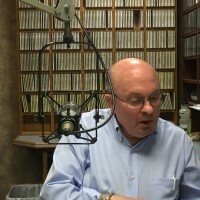 He was previously with Susquehanna Radio. Mark Jordan I am living in southern Maine not far from Portland, where I grew up. After Brown, I worked for IBM in the Poughkeepsie, NY, manufacturing plant in systems quality assurance. There I learned that sales will say anything to get the order (without regard to the factory's ability to ship) and that if you contact the right person, you can get tools air freighted right off the plant production floor in the middle of the night. Both were good things to know later in my career. After a couple of years there, I returned to Maine to a family owned consulting engineering business. That business passed out of the family; and corporate goals changed. I left to work for a Canadian owned firm, where most of the work was for the forest products industry. I specialized in process control and later project management. With 25 years in consulting, I started doing independent consulting through a colleague's "retirement" company. After a few years, the pulp and paper industry went flat in the Northeast, and I am now pretty much retired. My two kids (now 32 and 29) are out in the world on their own. I now enjoy the company of a delightful woman, Margie, whose son is in college and daughter is about to graduate HS (June 2005). We look forward to relocating then to my family's Sebago Lake house for year round enjoyment. I never did any radio work after Brown; but I can never be just another listener after my stint at WBRU! mhjordan@alumni.brown.edu - 12/04 - Email Validated July 2018. Janet Levy After Brown, I went to graduate school at Washington University, St. Louis, receiving a Ph.D. in anthropology and archaeology in 1977. After a couple of temporary positions, I came to University of North Carolina at Charlotte in 1980, and have been teaching here ever since, with short periods in England, Oregon, and Finland. I'm associate professor of anthropology and associate chair of the Department of Sociology and Anthropology. Off and on, I've done a bit of media, dredging up memories of WBRU. In the early 1980s, I was the consultant on a 10-part radio series of short pieces on the archaeology of the Carolinas, produced by our local public radio stations, WFAE-FM. But my 15 minutes of fame came in 1993 when I was the on-air commentator for the public TV special on the "Iceman," the frozen prehistoric body found in the Alps (even though I've never actually seen the body). I still get phone calls when that program is repeated, and I've consulted on a couple other television programs and a children's book on the same topic. Larry Maier [Feb 2005] I spent the summer after graduation running WBRU as part of the summer staff. In the fall, I joined the Coast Guard to avoid the draft. I spent the better part of my time stationed in Wildwood, N.J., where I prevented the landing of unfriendly submarines and designed aids to navigation. When I left the Coast Guard, I went to work for Simmonds Precision, an aerospace company located in Vergennes, VT, as an electrical engineer. I have continued to work there (now Goodrich Aerospace) for over 30 years. In the late 70s, I designed several systems for the Space Shuttle (and was on-board the vehicle once). After the Space Shuttle, I began working on Boeing aircraft. Over the years, I have designed systems for most Boeing aircraft. If you have flown on a Boeing aircraft, I probably designed some parts on it. I am presently working on designing several systems for Boeing’s new airplane, the 787 Dreamliner as a senior systems engineer (i.e. old guy that knows the answer). When I first came to Vermont, I did engineering for local radio stations in my spare time, and put one new FM (WCVM 100.9) station on the air. I gave that up when I figured out that the engineer is the last person they pay, and they never get to the end of the list. I then got back into playing music by playing in the pit orchestra for several productions put on by the local theater group (Gypsy, Oklahoma, Carnival, Chicago, Follies, etc.) and joined the LC Jazz band (Little City for Vergennes, the smallest incorporated city in the US). In the summer, I also play with the Bristol Band. We do evening concerts on the green in Bristol every Wednesday night through the summer; very New England. For fun, I design control systems for model trains as a consultant engineer for Tony’s Train Exchange. In 1981, I married Pamela Marsh. We are still happily together going on 30 years (yes, the math works, we lived together first). Rhys, our son, graduates from Duke this year (Brown was his backup school). Kelly, our daughter, is at Castelton State learning how to be a primary education teacher. 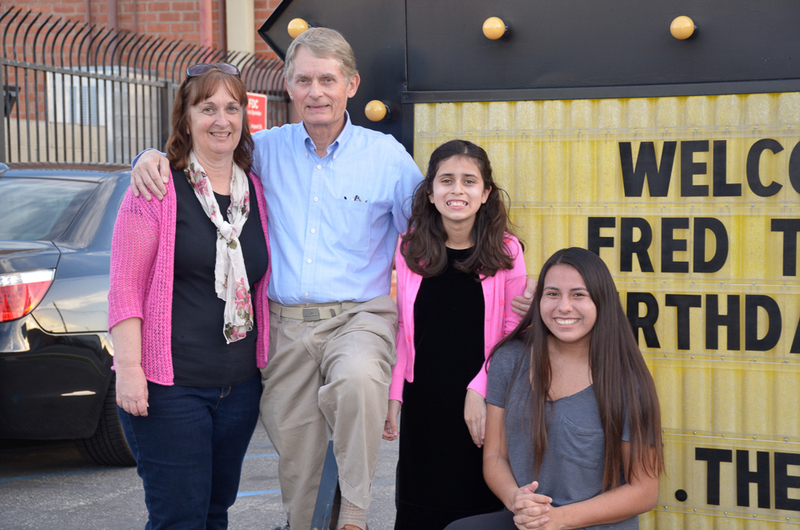 Pam and I are registered foster parents, and have had over 5 foster daughters and sons as part of our family. [August 2018 Update] Since the last entry, both of our kids have grown up and are now contributing members of society. Rhys lives in California with his wife Liz. He arranges financing for renewable energy projects and she is a TV producer. She has already won an Emmy! Kelly is a special education teacher at the Witchcraft Heights Elementary School. She is in charge of the gardens and is working on supplying the cafeteria with all home grown produce. Her husband Mike just received his LPN degree and is working nursing full time. They have our first biological grandson Wesley. 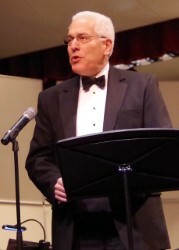 I am now retired from aerospace, but still performing with LC Jazz (lead tenor), the Bristol Band, The Ridge Runners, and Mid Winds Concert Band. In addition to music, I am also working with model trains. In addition to working with Tony's Train Exchange, I volunteer at the Shelburne Museum and Sheldon Museum, both of which have model train collections that I help keep running. We have converted to solar power and have an array large enough to completely power both our home and my wife's office via net metering. One of our previously mentioned foster children had her own child but was unable to care for her. We now have Serenity as part of our family and are raising her. It is kind of strange taking her to school and being a second generation school parent. Finally, we are part of the English Setter rescue. We currently have 6 family members that we failed to pass on for adoption. grnmtnflyr@gmavt.net - Updated August 2018. Fred Mattfield Fred died on Nov. 7, 2006 in Washington (state). Fred, a '67 graduate, was active in the engineering department at 'BRU for a year or two and was GM in 1966. He was best known for his height (very tall) and incredibly smooth deep voice. Although he was contacted about this website, he chose not to contribute his own bio. There is a picture of Fred adjusting a turntable on the Studio Photos page. The following obituary is taken from the March/April 2007 BAM. Sam Merrell Circa '71 I left Brown to work with Don Berns in Buffalo and caught the last gasp of powerhouse Top 40 as WKBW's production director. After two years I moved back to my hometown -- to the then-quirky and interesting WEBN-FM. But 'EBN hired a new Program Director while I was on vacation, didn't tell me until after I walked back into my production studio (where the new guy was hard at work), so I decided I was through with radio and made a career change to commercial photography. After shooting corporate location work for a year and a half, I discovered Brown's excellent resumed undergraduate program, moved back to Rhody, completed my Semiotics degree in '78 and had a great second run with WBRU. More photography followed graduation, and in '82 I moved to NYC where I continue to work in the commercial photo trade as a management consultant specializing in digital imaging. Susan and I married in '88 (in Jamestown RI), and in '99 we went to China to meet and adopt our wonderfully amazing daughter Li. Lawrence Moss I barely qualify for this site, having entered Brown and immediately joined WBRU in September 1969. I quickly became Public Affairs Director, and then in my sophomore year, General Manager. After four years of Providence weather, I readily chose Stanford for law school, where I was interested in constitutional and civil rights law, and spent a semester at a feminist law firm in San Francisco. I also became an avid cyclist, wrote a book on bicycle transportation in America, and later did long tours on the west coast and in Europe. I lived in Seattle during the summers of 1974 & 1975 and the year 1977, where I reunited with WBRU friends who had gone to KOL & KZOK there, while I took up mountaineering and worked at a civil rights law firm and at the Seattle Public Defender. I spent 1978 bumming around Latin America, largely in the Andes. This journey also began my longstanding interest in international human rights. 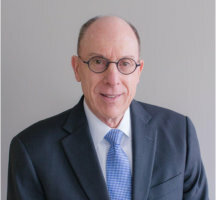 I returned to my native New York in 1979, practiced with a Wall Street law firm for two years, and then maintained a solo litigation practice for 24 years. This provided an independent base for deep involvement in politics and international affairs. I moved to Tribeca when it was still an artist community, and after 14 years in a loft there bought and renovated a loft in NoHo in 1994 where I still reside. I represented all of Greenwich Village and lower Manhattan in the Democratic State Committee for the past 16 years, and chaired the progressive caucus of the state Democratic Party for eight years, leading the party to oppose the war in Iraq in 2002 and to support marriage equality for gays and lesbians in 2003. I have also represented the NYC bar association at the UN for many years and worked with various foreign affairs and human rights organizations, as well as with gay rights organizations, artists and arts organizations, and community and cyclist organizations. I have visited at least 85 countries on all continents, frequently meeting with judges, lawyers and public officials on human rights issues. I closed my law practice in December 2005 to begin representing Human Rights Watch at the United Nations. I was deeply involved in the creation of the new UN Human Rights Council, and advocate for Security Council action in Sudan, Burma, and the many other trouble spots we monitor. I frequently do radio interviews and write op-eds, so my years at WBRU have not gone entirely wasted. I do my best to disregard my absurd chronological age, and hope to have a long career in international affairs still ahead. Known since 1979 as Rob (a girlfriend thought it sounded cooler), I changed careers (and girlfriends) in the early 80's after pretending to take a Doctorate in Theatre at NYU. From teaching high school English in Tenafly, New Jersey, I started directing theatre in Manhattan and formed a company called American Festival Theatre. We concentrated our efforts overseas and became, by 1990, the largest American company producing in Great Britain, particularly at the Edinburgh Festival in Scotland. We started producing in London where we did several successful West End and Off-West End shows before realizing that we were not cut out to be expatriates. By then I had met my last girlfriend and now wife of 25 years, Monica Hayes, an actress who appeared in a number of our productions. In 1993, I followed Monica to her faculty position in the Theatre and Dance Department at The University of Southern Mississippi (Southern Miss). I continue to freelance around the U.S., directing and doing set designs for Opera and Musical Theatre productions. Photo of Rob and Monica (2005) - robm100@comcast.net - Updated July 2018. Roger Norton After Brown, I drifted into medicine (if that's possible!). 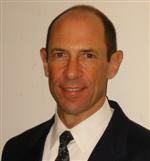 I graduated from Boston University School of Medicine in 1981, and for the past 15 years, I've been affiliated with Slocum-Dickson Medical Group in New Hartford, NY. Living a mostly quiet life as a family practice doc. Married late in life to a remarkable lady who already had children, and now I am enjoying my grandchildren! :-) I've had my ups and downs, but life is good. My first career was, of all things, broadcasting, including seven years as reporter, producer, and political analyst for WJAR-TV. I had a brief tenure as the first press secretary to a local Providence pol you may have heard of named Buddy Cianci, then moved into PR and advertising with a number of agencies. 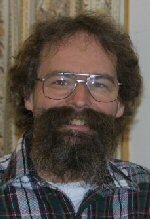 I remain married to BRUer Mary McCandless and we have a daughter (Lisa) and 19 year-old granddaughter (Mary). We live in Providence about two miles from campus. In 1990 Mary and I formed Norwalk Communications where we helped a varied group of clients with marketing and fundraising communications. Shortly after retiring I got reconnected with BRU as volunteer PR counsel to the board and students during the brief public furor surrounding plans to sell the FM license. Must have done something right because I've now been appointed to the BOD and having a great time working with today's students as they create something new (which was always what BRU was about). art@norwalkcom.com. - Updated July 2018. Joe Patrick The year was 1970. Vito Perillo was doing a summer stint as a summer reporter at WJAR and I was a Bryant University student also working there as an Account Executive. Vito recruited me to manage WBRU's sales department. Thus, I became the only non-Brownie student at WBRU. And the only staffer with a private office, I might add! What with the Vietnam war & civil rights protests in full swing and our station format catching on like wild fire, these were the most interesting and electrifying two years of my life. I will always feel like an interloper, but will be forever grateful for the experience of having worked with so many awesome, creative and totally committed young people at such an amazing time. I am now retired and living in Waitsburg, Wa. My good buddy for years now, Paul Gregutt, lives here as well. We just had a really fun year playing as a duo, HatNoHat, gigging all around the Walla Walla, Wa. area. joegpatrick@gmail.com" - New Entry August 2018! Paul Payton Originally class of 1966, I took some time out to work in professional radio at WHIM (becoming Music Director) and then part-timing at WICE while I finished school. Upon graduating Brown in 1969, I played keyboards in "Benefit Street," a Brown-based band always a heartbeat away from making it, whose demos 'BRU was kind enough to play. I moved to Hartford, CT, to do a professional version of WBRU at WHCN with Brown alums Rich Barna, L. Davidson Corry, and Vito Perillo; they left, I stayed and was Music Director for several years. I worked at WDRC-FM, was PD at WCCC (Howard Stern worked for me for three days - but that's another story), and was also on WPLR and WWYZ/Country 92.5, which hit #1 overall in Hartford during my time there. In July, 2006, I was privileged to be invited (thanks to the good auspices of Jerry Hubeny) to spend a day at WBRU as a "voice resource" - answering questions the students had, doing a bit of voice coaching, making some suggestions, generally hanging out (always one of the best parts of 'BRU! ), and even voicing a spot and a couple of promos. Talk about coming full circle 44 years after my choked-throat younger voice first "graced" WBRU at 560 and 670! To say the least, I found the experience gratifying and completely enjoyable. The current staff is really "into it," and is putting out high-quality rock & roll radio with the appropriate attitude. True, not all the music appeals to me - it shouldn't, as I'm not the target audience - but I certainly understand what they're doing and where they're coming from, and their senses of fun, seriousness, responsibility, and enthusiasm are all in sharp focus. We also discussed BSR; apparently, if something negative was once between them, it is no longer there, as each acknowledges and respects each other's niche (at least, according to the 'BRU folks - I didn't visit BSR this trip). There was a general feeling of bewilderment about the WBRU article in the BAM earlier this year, playing the stations' relationship as a rivalry; it certainly wasn't felt to be such by this group. In my opinion, both stations seem to do a good job of serving distinctly different audiences very well, and I am optimistic about the future of both. If anyone has any interest in offering themselves and their knowledge to WBRU, I think it would be welcomed. Contact Jerry Hubeny [jhubeny@mac.com], who is now on the station's board, if you're interested. I've already let them know that I'd be glad to return in the fall when the full staff is there. One other rather unusual thing just happened today (August 9, '06): I managed to get on the CBS Evening News in a piece about automated answering centers and the people who voice them. It wasn't the most complimentary video ever taken of me, but it was a positive story and I think I sounded pretty good - which is why I was there. Briefly, I got there through the generosity of a friend and client (a Yalie, by the way) who owns a production company specializing providing content for phone, web and other e-communication sources, who invited me to the shoot; they used my stuff, but didn't even mention the name of his company! (For the record: www.holdcom.com.) Anyway, for as long as it's posted, here's a link to the video of the story. Contrary to popular opinion, I'm not applying for the open PD job at 'BRU, but I hope whoever gets it continues the station's winning and successful ways. We wish everyone a good life in good health. It's probably time for some more updates from other folks here, too…. Life has been pretty good lately - I just had my 50th high school reunion back in New Rochelle, NY, seeing folks I hadn't seen in 25 or 50 years (when I left, New Rochelle, I really left it). The reunion was a great experience; some very interesting and fine folks were there, including the composer of one of the songs on my new album! Yes, my latest project is a record company, Presence; talk about being anomalous to the time! This week (18/18/12) finally marks the release of The Fabulous Dudes doo-wop album! If you remember the crazy vocal overdubbing I'd do late at night bouncing between the two Ampex 600s in the production studio, I somehow advanced it to a bit of an art form, and "The Kids Would Go Wild!" by The Fabulous Dudes is the result. It's all original songs (mine, except for the one by my high school friend) in various 1959-1963 styles, and I'm actually really proud of it. The website is sparse right now - www.presenceproductions.com - but it will be further developed very soon. I also put out Benefit Street's tapes (after 40 years) - temporarily their story is at www.benefitstreetband.com, but that will transfer over to the Presence site as soon as I can figure out how to move the files. The album, "Benefit Street - The American Dream," which you can find at www.cdbaby.com/cd/BenefitStreet among other places, contains all the tracks under both band names that we used to play on 'BRU. There's also a recent song with all the original members reassembled electronically. When that album came out in 2009, it led me to play in a new band with Rob Carlson (now called Rob Carlson & Benefit Street) and to put out a self-titled album (www.robcarlsonmusic.com). So suddenly, Presence Records went from 3 singles over a span of 9 years (1985-1994) to 3 CDs in the last 3 years, and I'm in two groups!. I'm still not sure why, except that we musicians are a driven bunch and I'm not gambling more than I can afford to lose. On another topic, it's not news that 'BRU was a defining experience for me, but I've noticed a post or two (as well as had a discussion or two) over the years suggesting that Brown sell off 'BRU. I know that Rich Brodsky and Jack Edmonson are in that camp, and while I respect their opinions, I vigorously disagree. In the last couple of years, I've been to some recent NYC gatherings of alums of the past decade, and all rave about how much more WBRU did for them than they could ever do for it. Heck, they sounded like us in their enthusiasm! WBRU and BSR have to different functions; from what I can tell, each does theirs admirably. Her extensive experience as Business Manager of WBRU helped my wife, Bette Schultz '73, get accepted at Harvard Business School. The station is a very special entity and a remarkable learning experience. Both Bette and I are proud of "our baby" and hope it retains its unique place at Brown and in Providence. We think both stations deserve strong alumni support and encouragement. Nothing's perfect - I've got some elective surgery scheduled for November, but the prognosis is excellent. It should be a bump in the road, not a fall off a cliff, and as bad news goes, it's some of the less bad. Meanwhile, we remain in Chatham, NJ; feel free to stay in touch! July, 2018 - much remains the same, some doesn't. 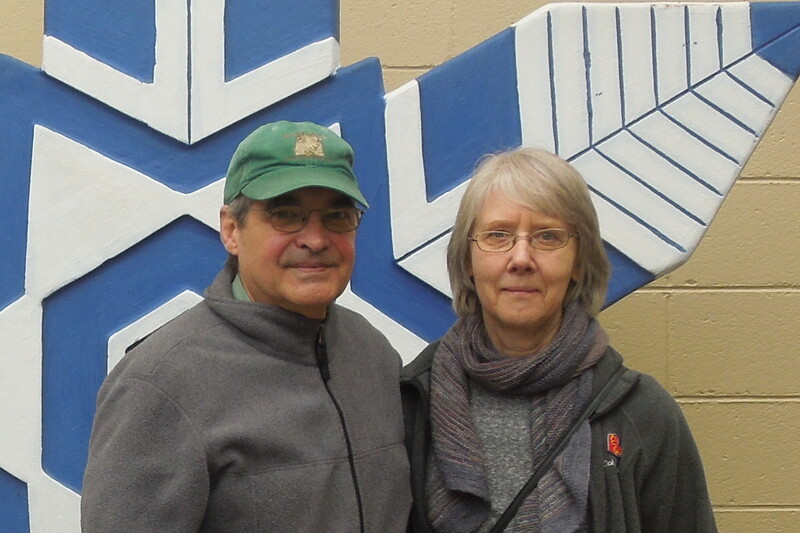 Bette Schultz '73 and I are still happily married - coming up on 25 years next April - and I'm writing this from the little beach box on Cape Hatteras that was her redecoration project as noted in our 2008 update. We're on a canal, five minutes to the beach, and we love the uniqueness of Cape Hatteras for vacations and "dropping out," although "real life" is still conducted in New Jersey. On this trip to the Cape, we were joined for a few days by Rob ('73) and Sue Sloan; it was supposed to be beach time but instead was a few hours on the sand and a lot of time dodging raindrops! Still, we had a great time together. I'm grateful for my long-time friendships, including with many of you. While the new version of Rob Carlson ('70) & Benefit Street hasn't been touring, we did release our second album, "Angels on the Radio," on my label, Presence. Go to www.presenceproductions.com and you can click on links to full-length tracks from all our output. I'm also working on a solo abum of instrumentals as well as other projects. Stay tuned! Healthwise, we're good -I beat a couple of light rounds of cancer (caught early a couple of years ago) and thus far the annual check-ups have resulted in "go have a good life and come back next year, when we'll probably tell you the same." I sure hope they continue to do so! Once in a while, I get a shot at doing freeform radio on WOVV, the Ocracoke (NC) community FM station on the next island over from us (they also stream on-line). It's great fun, but I couldn't be that wide-ranging on a commercial station and make a living from it. Nevertheless, they do have listeners and provide the kind of vital service that only open-air radio can. You may be able to tell that this is leading up to a different opinion than some of my friends in this group have about the sale of 95.5 in Providence. I remain saddened and frustrated by it, especially considering that the buyer is, in my opinion, everything antithetical to what WBRU originally stood for. I was told that the students had lost interest in the station, but I don't think they could have faked the passion of the last day on the air, which Bette and I heard driving around Rhode Island. Even many of the commercials were goodbye love letters to the station! WBRU gave me my career and a spirit of fraternity and camaradie which can never be replaced. As I recall Jack Edmonson telling me, a long time ago, "No matter how much you do, WBRU will do more for you than you can ever do for it." That remains true for me today; I'm sorry the current generation of students won't be able to have a similar experience. I also note with great sadness the passing of Don Berns and Don Harris. I am in occasional contact with other alumni, but will let them tell their own stories. In the meanwhile, paul@paulpayton.com remains one e-mail address, and I have a new" other one"" bsandpp@gmail.com. 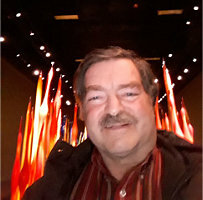 Although I'm still doing voice-overs, I consider myself semi-involuntarily semi-retired (I got tired of marketing, but I love getting into the booth) and have been travelling a lot with Bette - southeast Asia, various European destinations, the Canadian maritimes and soon the Canadian Rockies, and much more. We're also frequently in Arizona to visit Bette's now-96-year-old parents. They've been married for 74 years and still hold hands - something to aspire to. I'm aiming for "the happy healthy 100," and still have a few decades to go, so expect the story to be continued! Feel free to make contact and be part of it. Paul - Updated July 2018. Dave Pearce After graduating in '65 I was a full-time "rock jock" for WICE in Providence. We had quite a few 'BRUers working at the station at the time. I eventually drifted into the news end of the station and was later promoted to News Director. A short time afterwards I was promoted to Program Director. In 1974 I left radio and became a TV reporter for Channel 12 in Providence. I became the station's news director in '76 and remained in that position for the next five years until 1981. In 1981 I left Rhode Island to become the Executive News Producer for the CBS television station in Washington, DC (the former WTOP-TV and now WUSA-TV). I was promoted to the position of news director in '82 and vice-president-News in 1990. I remained in that position until 1995. In '96 I left DC and returned to my home state of Rhode Island. Shortly after coming home I accepted an offer to return to my old station, Channel 12, as news director. I agreed to stay for two years at which point I had reached a goal of mine ... to retire at 55. My wife, Marcia, and I live in North Kingstown. Both our children, Geoff and Debbie, and our three grandchildren live nearby. [July 2018 update] I have retired from the business of painting (no more weekend shows - whew!) but still maintain a website - Lynetteblake.com. I "give away" my paintings for a promise to make a donation of a suggested amount to a charity. Still married to Jim Blake ('74) - 46 years! Yikes! We have a son in LA who is classical collaborative pianist and a daughter who lives near us who is now a medical laboratory scientist. Expecting our first grandchild in October. I've continued in Taekwondo. I'm now a 4th degree black belt, and looking toward testing for my masters certification in a couple of years. Who would have thunk it? My latest hobby is cello. Been taking lessons for just over a year. Don't think Yo Yo Ma has anything to worry about! My best email address is Artist@LynetteBlake.com. Sending good wishes to all former 'BRU folk. - Updated July 2018. Rick Pike Alive and well and living in southern California, working in a media related job. I live in Kensington, CA (next to Berkeley) with my wife Lisa and two daughters, who were born in 1994 and 1996. I've been interviewed on radio and TV a couple of times because of Fermat's Last Theorem and enjoyed the experience of being in front of a mike again. Jack Rose This entry was removed by the webmaster in July 2018. Jim Schantz After I graduated from Brown in 1970, having spent four years at WBRU (Business Manager, General Manager, and hockey play by play - following the late Pete Bedard), I started a long career at Polaroid in the Boston area. However, I briefly continued in broadcasting when Brown called a year after graduation to say that Channel 12 was looking for a color commentator for their planned telecasts of Brown hockey games. That I did for one season and, at Channel 12's request, did Saturday 6 and 11 sports casts for about 6 months. Though enjoyable, that convinced me that a broadcasting career was a bit too tied to fixed deadlines and schedules for me. At Polaroid I worked in systems, occasionally seeing Fred Brack in his role as an IBM Systems Engineer. After a few years I relocated to Europe for Polaroid starting with a year in Frankfurt. There I was joined for about 6 months by Jack Rose (also BRU 70) who was already living in Germany and who then also moved back to the US with Polaroid. I spent 5+ years in Europe, including some time in the London area and 3� years in Amsterdam, before returning to Boston. The job then continued to take me frequently Europe and some to Latin America and the Asia/Pacific region. As Polaroid's fortunes sank in the late 1980s I switched to the investment field working for a succession of smaller equity investment houses. I'm now with the investment subsidiary of a Dutch/Belgian financial firm, as VP of Quantitative Research and again trekking to Europe on occasion. A passion since childhood has been the history of street railways and urban transit, and I've volunteered for years at the Seashore Trolley Museum in Kennebunkport, ME, where I've been Chairman of the Board for about 18 years (and occasionally host our town neighbors George and Barbara Bush). Streetcars are making a comeback now -- helping to rejuvenate downtowns across the country -- and I'm frequently traveling around the US as part of a national group setting standards and advocating for their return. My partner, Herb Fremin -- architect and professor -- and I are coming up on two important anniversaries: 25 years together and one year (being residents of Massachusetts) of marriage. We live in Boston's South End. jschantz@verizon.net - 5/05 - Validated July 2018. Dan Schneider I received an A.B. in English Literature from Brown University and an MBA in Finance from Tulane University, with military service in between. I married my wife Kiki in 1975 and we have two children and a granddaughter. In 2003 I retired as Managing Director from State Street Corporation in Boston. Prior to joining State Street in 1985 , I was at The First National Bank of Boston, where I was Asia/Pacific Treasury Manager. In 2006 we moved from Andover MA to a house we built in Sunapee NH, where Kiki has family ties. 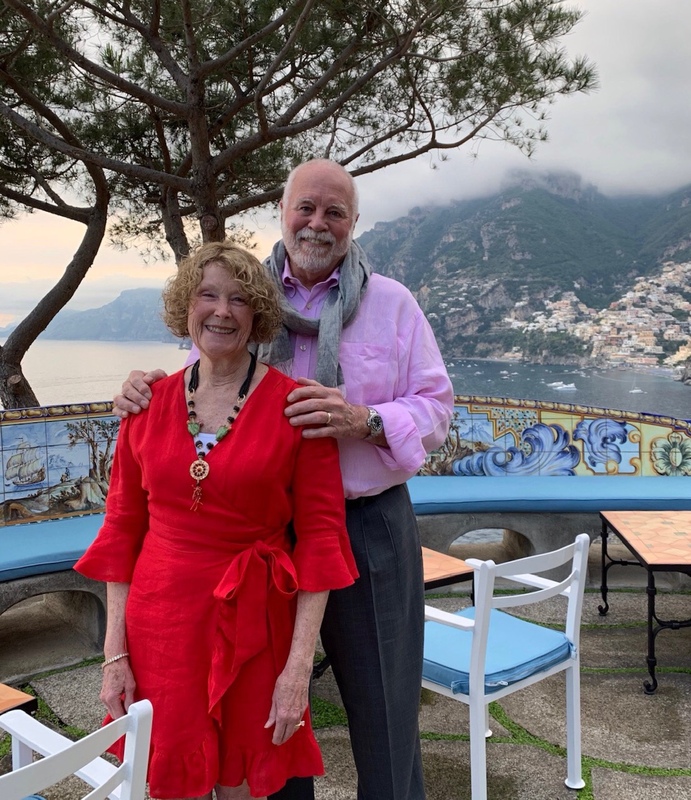 Since retirement, we have been enjoying travel to Argentina, New Zealand, Italy, Ecuador, the Galapagos, Hawaii, and Southeast Asia, among other places. I have been active as a course leader in a life-long learning program, and am a member of several local non-profit boards and the town zoning board. We enjoy hiking, tennis, kayaking, snowshoeing, the theater, and jazz and classical music. Through the years Kiki has managed to convert me to a Red Sox fan. dschn@comcast.net - Updated July 2018. Moe Shore After graduating Brown in 1972, I worked professionally in … radio. Not that we were ever paid very much, but it was fun. First, I traveled to Seattle to join Tom Corddry, Jon Kertzer, Paul Gregutt and Vito Perillo at KOL-FM. After we were all canned to make way for automation, I came back east to WCAS - The Cambridge Station - where I did mornings and eventually became Program Director. This little AM station was saved by the community, at least for a little while, from sale to religious broadcasters. But seeing the writing on the wall, I went back to school in '76 to learn about film, video and computers at MIT. My last radio show was in 1978, but armed with new skills I became a film and video editor for WGBH in Boston; then went on to start the Video Edit Lab at Atari in Northern, California where we developed laser disc arcade games based on feature films. Stung by the Hollywood bug, my wife Ann and I moved to Los Angeles in 1985 where I joined Panavision, the motion picture camera and lens company. I was a product development executive there for over 30 years. Our two daughters, Sarah and Amanda have careers of their own. My wife and I semi-retired in 2016 and moved to Exeter, N.H. The Show More Moe Shore Show lives now as Show More Video (showmorevideo.com). I make music related videos, which is exactly what I wanted to do when I left WBRU in 1972 ... just took awhile. MoeShore@gmail.com - Updated July 2018. Andy Simons Andy joined the station in 1969 -- at age 16 -- even though he didn't attend Brown. He continued to do shows there until 1974, after which he worked at various non-commercial stations around the country. 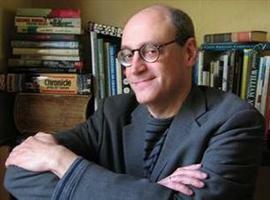 In 1994 he relocated to London, where he is now a retired British Library curator in London. Andy has submitted a lengthy reminiscence of the era, which you may enjoy reading! jazzyandy@gmail.com - Updated July 2018. Rob Sloan Some of you may remember Sue, as we were together my senior year. We married on New Year's Eve, 1969, and just celebrated our 35th. The bios I've seen tend to either be the professional (if the career path stayed connected to broadcasting) or the personal (if not). Here, a mix. I got a grad degree in education in 1970, and when that didn't work out, got a degree in librarianship in 1972. An education at Brown, coupled with my high school education as a "regents diploma" student in New York, meant I knew and know a little bit about an awful lot – perfect for librarianship in an undergraduate institution. After nine years as the librarian at a regional school district in western Mass., I moved to a liberal arts college as a reference librarian, St. Mary's College of Maryland, where I remain to this day. Brown and BRU were instrumental in giving me a core group of friends (and associated interests) with whom I remain in contact to this day, and a world view and general education that continues to stand me in good stead. My wife and I have two children, Joshua and Jessica (born 1970, 1974 – are those names reflective of an era, or what?) and four grandsons, around two years to eleven years old. We've enjoyed travel to Europe (especially Paris), many summers reuniting with our gang in RI, and "homesteading" in southern Maryland – about six acres of marsh, woods, and farm field. On rare instances, I've thought of doing a show at the college radio station at St. Mary's, but fortunately for all, the urge hasn't been followed up! My time spent at 'BRU remains among my best of memories of Brown. For those of us who were there in the sixties, it was a special time and the reunion in 2005 was super. Fred's website is a gift for all who shared in the history of Brown radio. Thanks to Fred for "this and that!" 2017 Photo of Rob and Sue rcsloan1947@gmail.com - Updated October 2018. Peter Tannenwald I graduated in 1964, after serving as News Director, Chief Engineer, and General Manager of the old WBRU(AM). During law school, I found out that there was a legal specialty focused on communications, so I decided that was for me. I joined Arent, Fox, Kintner, Plotkin & Kahn in Washington, D.C., in 1967 and remained there until 1995, when I joined what became Irwin, Campbell & Tannenwald, P.C. In 2008, that firm closed, and I joined Fletcher, Heald & Hildreth PLC. I am still practicing all kinds of communications law have served as FCC counsel to WBRU since 1968, I served on the Board of Directors of Brown Broadcasting Service, Inc. from 1970 through 2014 and am now a Director Emeritus and a member of the WBRU Hall of Fame. I helped WBRU go through the process of selling the 95.5 FM radio frequency in 2017, which has resulted in restoring the station to complete student control with more student participation, in an environment that allows almost unlimited experimentation with audio and video production and streaming, hopefully permanently funded. I also helped Brown Student Radio obtain a low power license for a station on 101.1 FM now called WBRU-LP, which receives programming assistance from Brown Broadcasting Service. I am now looking at the prospect of retirement. 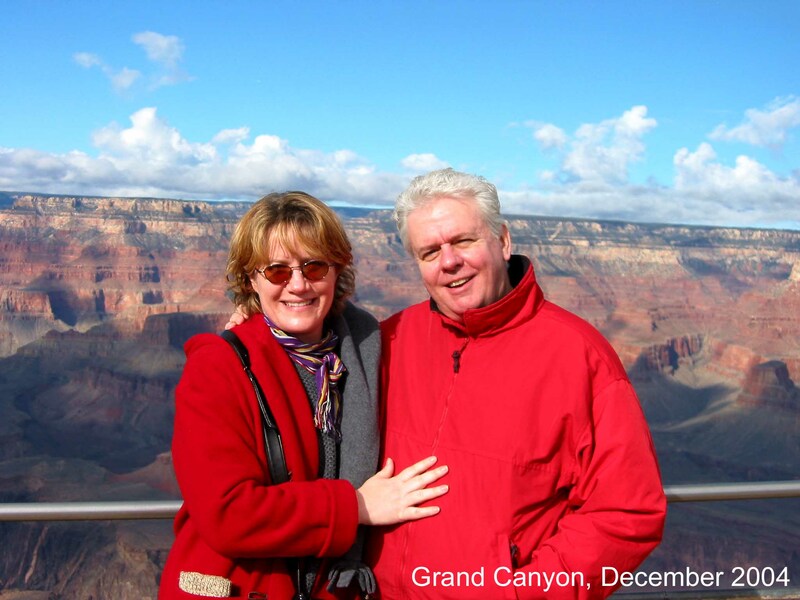 I am married to Carol Tannenwald, who graduated from George Washington University and is a piano teacher. 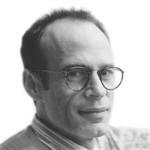 We have one son, Jonathan, who expressed little interest in Brown but graduated successfully from the University of Pennsylvania in 2006 and is now a reporter for the Philadelphia Inquirer newspaper, both writing and radio interviews. ptannenwald03@verizon.net - Updated July 2018. You know what they say, "You can't get radio out of your blood." By 2008 rolled around, I had fallen out of favor with my new management at KNX 1070 Newsradio, the 50,000 watt blowtorch and West Coast CBS Flagship station. Truly a great station by any measure and I loved working there. I had been considering fulfilling a life-long dream to have a business, working for myself. About 2 or 3 weeks prior to the Global economic crash, I opened GTG Marketing providing senior level radio marketing expertise to local and regional clients in Southern California. While clients come and clients go, I'm thankful to have two key anchor accounts that have been consistent with me for 9 of my ten years in business. One, Dewey Pest Control, is a family owned heritage California company with 32 offices and 89 years of service! For both accounts I serve as radio "guy" and marketing consultant. I celebrated 22 years of marriage this past May. We have two, count 'em two, teenage girls, 17 and 14! Lots of estrogen flowing sometimes a bit too often. And I must confess I run out of steam earlier and earlier in the day. Best you have kids when you're in your 20's or 30's. I must of sleep through that Family 101 class early Saturday morning at Sayles Hall. I continue to embrace the forgiveness of sin and promise of eternal life Christ offers as a free gift as a participating member of Journey of Faith in Manhattan Beach, CA. It's now been 35 years since I made that decision and I've never regretted it for a moment. We're all reaching that time in life when the end is becoming a reality and the burning question: "What happens after this life?" • Hubeny running for the "Board"
• Going to Boston with Pike after "Flight 560"
• And last, but never least…..those "meeings"
Anyway, all the seeds for my love of radio and a lifetime of working the industry were sown and nurtured at ole "BRU. Photo of Fred's Family - fred@gtgmarketing.com - Updated July 2018. Bob Weaver I was dragged into WBRU in 1967 by Ralph Begleiter (later a room-mate) and briefly served as interim news director when Ralph gave up the position. After school, I headed home to the Northwest as an archaeologist: did my field school at one of our most famous sites, Ozette, which was a 60-foot Native American longhouse that had been buried in a 1700 earthquake and mud slide… the first to be found with preserved wood, baskets, and many other amazing artifacts. The rest of the '70s were spent in grad school: archaeology and then architecture, with summer jobs like climbing and documenting the Klondike Gold Rush trails. I then stumbled into the job world directing archaeology and historic preservation surveys for several variants of the MX missile (Ronnie R. renamed it the Peacekeeper missile). That led to more EIS and survey work with multidisciplinary firms…which lead to something totally different (if not all the same). Most of my career has been assisting large or complex environmental cleanups…working with engineers and attorneys. I've researched historical technologies (a late-1800s milk plant will have lead as the primary contaminant); learned about groundwater dynamics and conceptual site models; and helped prove up (or balance) corporate responsibilities for making the mess. I worked on the Montrose Superfund site…the LA sewer system's outfall field off of Palos Verdes as well as a number of the Superfund sites in the Seattle region. In reality, the investigations are nothing but historical archaeology…my specialty. On the side, I've also occasionally been able to continue with the "pure" archaeology. Excavated two gold rush saloons and the waterfront in Fairbanks, AK and am just finishing up a major mitigation dig covering the original town of Sandpoint, ID (the transpo department has run a highway over half the place). As can be seen from other's bios, Seattle became a WBRU mecca in the '70s. It was a blast (and surprise) hearing Corddry, Kertzer, Gregutt, Corry, and others on the air-waves or visiting them at KOL and KZAM. Still read Paul's wine reviews in the Sunday paper. For the last 10 years, I've run my own company, the Environmental History Company; best thing I ever did. I just finished up another large (mining) environmental case; Sandpoint will be my swan song in archaeology. Time to "retire" and focus on other pleasures like visiting my kids in Japan and Beijing, re-restoring the 1966 Sunbeam Tiger that I had back at Brown, and enjoying life with my wife of 38 years. You! ??? --> Send your bio and photo to Fred, using the link below.